You may remember how attached President Obama was to his BlackBerry during the last presidential election, or how massive his online campaign was compared to his rivals. 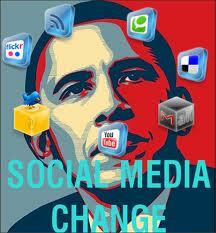 His January 30, 2012 Google+ hangout showed that President Obama still holds an online presence. The event, dubbed “President Obama Hangs Out With America,” marked the first ever real-time online conversation to take place at the White House. Over 227,000 people submitted questions to the President and voted which questions the president should answer. Because of the importance of technology and social media in today’s society, it is important for politicians to maintain an online presence. Obama and his team recognize this and used an online video to announce his 2012 reelection campaign as opposed to having him make a public appearance. President Obama is not the only American politician with a targeted social media strategy. Republicans Mitt Romney and Tim Pawlenty both took advantage of social media and announced their 2012 GOP presidential nomination campaigns on YouTube. YouTube is not the only part of these political social media strategies. Both Facebook and Twitter are being widely used by politicians to do everything from announce their next campaign stops or events to responding to rumors or current events. There is a good reason that political campaigns are evolving to include a strong social media strategy component. According to a recent article in The Los Angeles Times, a Pew Internet and American Life Project survey in November 2010 found that 20 percent of voters are turning to social media sites, like Twitter, to get their political information. As a result, campaigns have to evolve to reach those voters, who they might not be able to reach in any other fashion. After the last presidential election, President Obama proved he is ahead of his peers in utilizing the power of social media. His online efforts in the 2008 election dramatically changed online campaigning and paved the way for social media’s use in political campaigns. Just like Franklin D. Roosevelt’s fireside chats in the 1930s and 1940s, President Obama adapted to the changing landscape and benefited from it. People took to Twitter during Obama’s Google+ hangout, complaining that his answers sounded scripted. The White House maintains that no questions were seen in advance. As the Google+ hangout progressed and Obama interacted with the audience and his answers felt more natural. Mashable views the hangout as successful because it was a unique and viable way to connect him with a diverse group of Americans in an intimate setting. Viewer responses on Mashable were predominately positive. 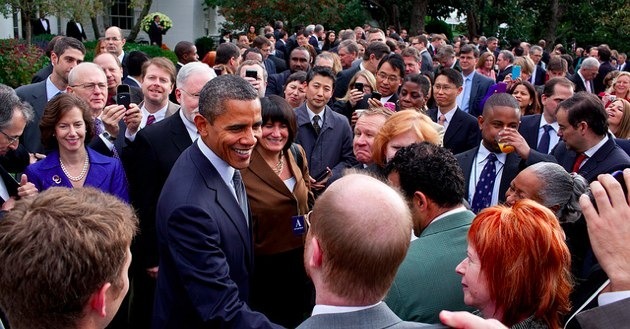 Some of the viewer’s told Mashable that it humanized the president and gave ordinary citizens a chance to connect with him on a personal level. Conversations on Twitter during the President’s Google+ hangout, connected by the #obamahangout hashtag, seems to show to that the event has boosted Obama’s image and reelection campaign. Many tweets expressed how “real” the president appeared during the unscripted moments of the video chat, especially when interacting with the crowd. Other tweets praised his honest interactions and transparency with the American public during the video chat, noting how President Obama admitted to U.S. drone attacks for the first time.